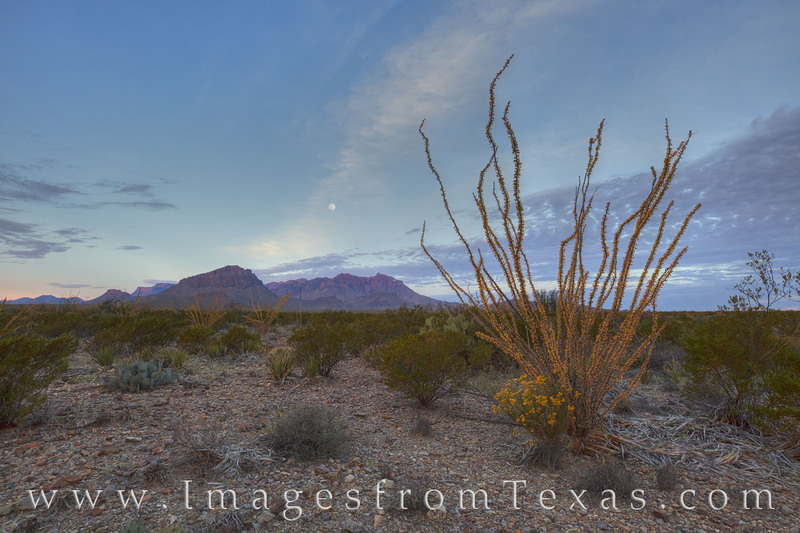 On a cool November morning, the Big Bend National Park’s Chisos Mountains rise from the dry Chihuahuan Desert as a full moon sets in the west. With an ocotillo in the foreground, the desert is covered in hearty plants – cacti and scrub brush fills in the dry cracks of this desert, adding to its rugged and remote beauty. Photo © copyright by Rob Greebon.